It’s back. And it’s going to be bigger than ever. We’re celebrating 23 years of performance engineering, with more cars, more music and more… meat. Save the date: Thursday, August 7th -- after work, from 5PM to 8PM. Get on the list early and let us know you’re coming, right HERE. One month to go. Will your car make it into this year's rooftop BBQ photo op? RSVP for the 2014 AWE Tuning BBQ, HERE. On the evening of August 7th, we're shutting it down. The street, that is. Ready to grill and chill with us? RSVP, HERE. It's tough to argue with 1001 horsepower, especially when it's all contained in one car. Tell your friends: The Bugatti Veyron will be making a return to the AWE Tuning BBQ in 3 weeks. To RSVP, and witness all of that glorious horsepower, and more, in person, click HERE. Word has it that the fine gentlemen of Nothing Leaves Stock will be bringing their 'Evil' MkV GTI to the AWE Tuning BBQ in 2 weeks. Fresh from it's class-winning tour in the Brock Yates' One Lap of America, this car is nothing short of a motorsports marvel. Witness this beast for yourself; RSVP to the AWE Tuning BBQ, HERE. Another day at AWE, another exciting RSVP. Our friends at Nemesis Autosport just let us know that they'll be bringing their gorgeous Sepang Blue Audi RS 5 to the AWE Tuning BBQ in 2 weeks. Come admire it in person, RSVP HERE. Take a walk through the shop and see where the magic happens. The AWE Tuning BBQ is less than 2 weeks away, RSVP HERE. Classic shapes deserve classic colors. The AWE Tuning Porsche 991 Turbo S will be hanging out at the BBQ for all to see, in all of it's Slate Gray glory. See it for yourself, and RSVP HERE. 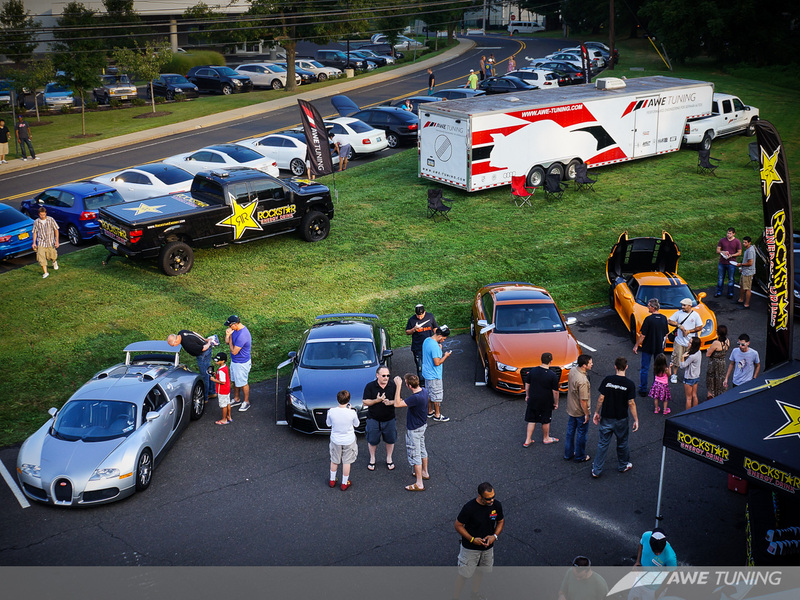 Porsche of The Main Line﻿ just called to let us know they're coming to the AWE Tuning﻿ BBQ. And who knows what they'll be bringing this year. RSVP and find out, HERE. Prepare your appetites. The BBQ is coming. RSVP, here.